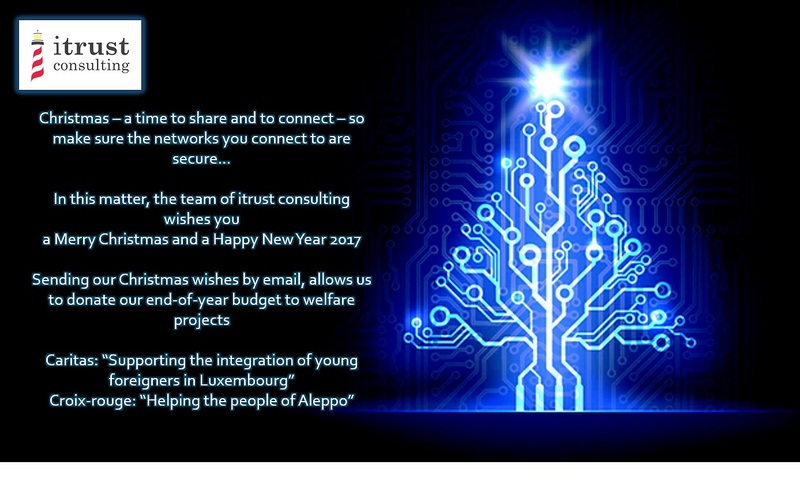 The entire team of itrust consulting joins in sending warm Christmas wishes for the end of the year period. Carlo, Matthieu, Benoît, Alex, Sam, Ben, Guillaume, Ensuifudine, Rémi, Marieta, Gonzalo, Bernard, Steve, Cédric, Nikolaos, Ingo, Michel, Gazmend, Sankalp and Jean say thank you for your support and partnership and are looking forward to further opportunities to work together. As in previous years, we are using our end-of-year budget to support two welfare projects. This year Caritas and Croix-Rouge.